OceanEvent informs you regularly on available cruise ships for full charter and the possibilities of maritime events. Climate change is the biggest challenge since the end of the Ice Age. That’s why charter broker OceanEvent decided to assume responsibility for the impact of the worldwide meetings, events, and incentives it is offering onboard cruise ships. 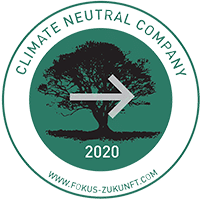 With retroactive effect for the year 2018, as well as for the future, OceanEvent has been and will be acting as a climate-neutral company. All trading activities and all charter cruises will be made climate neutral – through the voluntary purchase of climate protection certificates.. The order books of Europe’s major shipyards have never been as full as they are right now. In 2017 more than 450 cruise vessels had been available for corporate and private charters. It will be another 75 cruise liners until 2026! Among them there will be a good variety of new cruise ships for the MICE business. 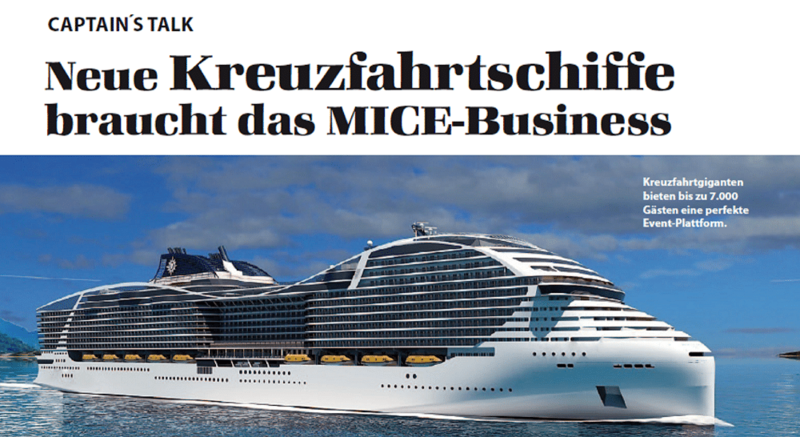 In his column “Captain’s Talk” (Events Magazine 1/2018) Christian Mühleck, CEO of charter broker OceanEvent, is talking about the special benefit of these cruise ships for maritime conferences and incentives. Their diversity for the MICE business will be fantastic. Lady Moura is among the largest luxurious yachts that have ever been built for private purpose. Being a ship that unites superlatives, she is one of the best known yachts in the world. 105 meters of length, 60 crew members and – even if launched back in 1990 – still one of the most elegant private vessels that exist. 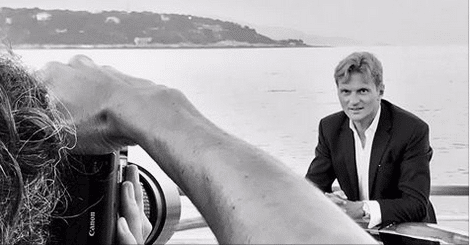 In the glamorous port of Monaco – where Lady Moura can be admired a great part of the year – this very legend gave scene for a TV coverage. The actors: Lady Moura Captain Michale Bosse, OceanEvent’s CEO Christian Mühleck and business development manager Corsin Parolini as the leading part. Seeking for the unexpected, OceanEvent’s CEO Christian Mühleck and his project manager Lisa Aumayr went on a site inspection along the coastline of Danmark and Sweden. Their mission: To find and test locations, shore excursions and themed programs for a maritime incentive that OceanEvent is about to orchestra in 2018. Onboard an exclusively chartered cruise ship 700 guests will be sailing from Hamburg via Copenhagen to Helsinki and back to Hamburg. Adjacent to other highlights, our site-Inspection lead us to a charming island just outside Helsinki. The idea of setting up a Viking village in this wild area arose to our minds – and got well approved by our client. (recording during the rehearsal of the Philharmonic Orchestra). The swiss “Cruise Blog” reports why cruise ships are the best choice for an event. – Chartering yachts and cruise ships all around the world to private and corporate clients sounds like a great profession – is it a dream job?? – Why can’t anyone book cruises made by OceanEvent from the catalogue or directly at the shipping company? What else is happening at OceanEvent? Mr. Parolini, born in Switzerland, has been responsible for business development in Sales at OceanEvent in the Germany/Austria/Switzerland region since early 2016. Corsin Parolini, born in Switzerland, has been responsible for business development in Sales at OceanEvent in the Germany/Austria/Switzerland region since early 2016. The entire team would like to wish him much success! After a short sabbatical, the experienced charter expert has returned to the team of OceanEvent. After a short sabbatical, the experienced charter expert Vanessa Wagner has returned to the team of OceanEvent. In the past, Vanessa helped in designing more than 100 cruises on board the largest sail cruiser in the world, the Club Med 2. Her creativity when it comes to unusual ideas for programs is sensational, and her passion for the sea is unabated. The entire team is pleased to welcome her back on board OceanEvent! Send us your inquiry! You’ll receive a detailed charter offer for your MICE event at sea within 48 hours! Even before the brand new MeinSchiff 4 was christened, the team of OceanEvent seized the opportunity for a test cruise on board. Conclusion: very good conditions for full charter with MICE character. The theater (capacity: up to 1,000) equipped with state-of-the-art light and sound technology, an adjustable double ring rotary stage and eight movable LED walls seemed just right for holding meetings and conventions. The innovative “sound tower” (for a maximum of 200 persons) is a novelty on board. The great concert halls of Europe can be simulated here in terms of acoustics. More conference rooms with cutting-edge conference technology make MeinSchiff 4 an ideal conference location. The pool deck can be brilliantly used for open-air events. The largest open space is offered in the area around the 25 meter long (!) outdoor pool. A generous stage area at the front is suitable for serious and humorous speeches. The roofed inside pool closes up the space in the rear. A large open space with stands and LED wall is available for sporty team-building activities. The restaurant concept seats 1,200 people, who can share an identical menu at one time. With this new ship, the ship-owning company has succeeded in revitalizing the cruise ship market. True innovations and many details greatly distinguish the ship from other vessels of this size currently on the market. In our opinion, MeinSchiff 4 is perfect for conventions with up to 1,200 people. The maximum capacity of the ship is 2,500 passengers. OceanEvent has secured a first charter event in May 2018. The five-mast full-rigged ship is to set sail in the second half of 2017, replacing the “Royal Clipper” as the world’s biggest sail ship. With this new construction, the Monegasque ship-owning company Star Clippers is enlarging its fleet. With a length of more than 162 meters, the ship is almost 30 meters longer than the current record holder “Royal Clipper”. 150 cabins, 34 suites with balconies and four owner’s suites for a total of 300 passengers are being planned. Facilities include three swimming pools, a diving bar as well as a spa area with massage service. The new flagship is based on the “France II,” the largest windjammer of its time, which sailed the seas from 1911 to 1922. It is rigged as a skiff: with fore-and-aft sail on the rear mast. OceanEvent has secured a first charter event in May 2018 on board the new clipper ship – for a major maritime project, in which OceanEvent puts together for one charter the three cruise sail ships available in the Mediterranean (Star Flyer, Royal Clipper and the new large sail ship). The routing is expected to be along the Cote d’Azur. The client wants to lease various beach clubs for private parties. The “Star Clipper” cruise sail ship will spend the winter season in Thailand, Malaysia and Singapore; in the summer months, the ship will cruise around Bali. The “Star Clipper” cruise sail ship will spend the winter season in Thailand, Malaysia and Singapore; in the summer months, the ship will cruise around Bali. With this announcement of the ship-owning company, fabulous routing for 7-night incentives on the large sail ship is in the offing. With its spacious teak decks, glossy mahogany and polished brass, the Star Clipper is a true dream under sail – perfect for unforgettable incentives in the tropics. Its sailing qualities are fantastic, and 170 passenger can experience it first hand when the crew set to the wind the 3,365 square meters of sail. Subject of this OceanEvent column: Seasickness – cruise event without risks and side effects. Subject of this OceanEvent column: Seasickness – cruise event without risks and side effects. Read the whole column (in German) here. The German consultancy firm has been active on the cruise market for many years and has great experience in the charter business. The German consultancy firm has been active on the cruise market for many years and has great experience in the charter business. For the first time in 2016, the company is relying 100% on the expertise of OceanEvent GmbH for an exclusive project on a 5-star cruise ship.